The best way for your pet to try CannaNatural! 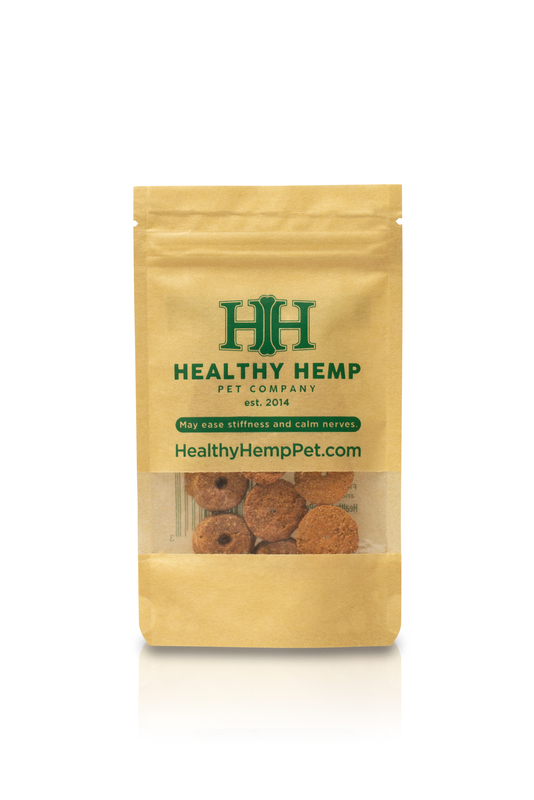 Healthy Hemp Pet CannaNatural™ are a dosage form health product optimized for joint support and infused with non-psychoactive PCR, phytocannabinoid-rich, hemp oil extracted from U.S. grown and harvested industrial hemp. PCR Hemp Oil: 2 mg per piece. Our hemp oil partner’s proprietary extraction is the purest process currently available. 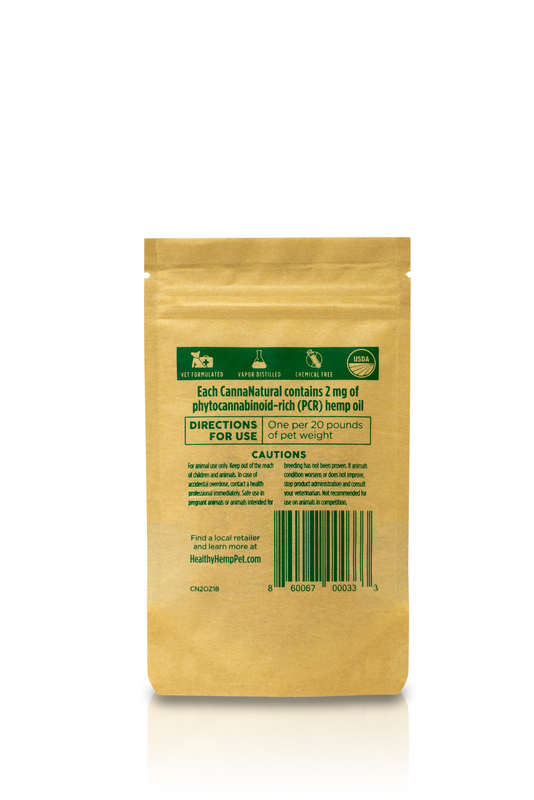 It delivers clean, 100% solvent-free, naturally phytocannabinoid-rich (PCR) hemp oil from the flowers and leaves of naturally developed strains of industrial hemp grown organically and legally in Colorado under a Department of Agriculture program. Hemp oil also contains omega-3 fatty acids, which have shown benefit in supporting seasonal skin allergies, normal immune and neurological function, normal blood pressure and in enhancing brain function. Every batch of hemp oil we use has been tested and contains less than the 0.03% amount of THC.